Based on our solid technical basis, we not only manufacture our proven probes, but also develop new products for use on ships or under water. 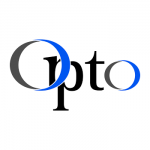 Based on proven stereomicroscopes and other optical systems, we develop and manufacture optical control and testing devices to ensure a high quality standard in goods receipt, production and goods issue. We are an engineering service provider, but also a service provider for assembly and contract manufacturing of samples, models and small series of optical and precision mechanical components and products. -4H-JENA engineering GmbH has more than 25 years of experience in the development and implementation of complex engineering tasks by tailor-made measurement technologies in various areas. With our trained and motivated employees, we are able to react quickly and flexibly to the individual needs and requirements of our customers. Our daily activities are, of course, also based on speed in the implementation of projects with and for our customers. The possibility to still be a contact person after completion of a project is also selfevident to us. 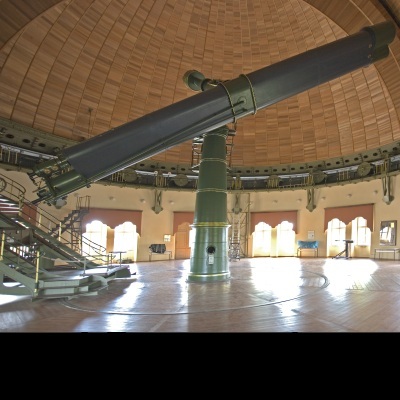 The large refractor, inaugurated in the presence of the Emperor in 1899, is still the fourth-largest lens telescope in the world. The telescope is a double refractor with two fixed telescopes on a parallactic mount. The larger tube has an 80 cm lens and a focal length of 12.2 meters. 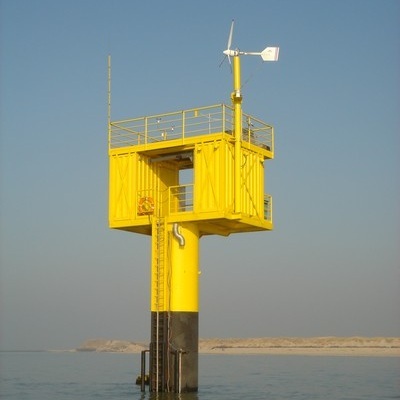 In the year 2003 an autonomous monitoring station in direct vicinity to Spiekeroog Island has been put into operation. 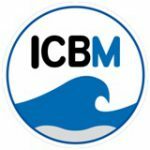 Since then meteorological and oceanographically parameters are measured and sent to the database of the ICBM continuously. 2008 - 2014, the Steinheil Refractor, Goerz Reflector, 300mm Zeiss Refractor, Coelostat, West and East-dome were restored and modernized. Our work included the areas of optics, mechanics, electrics, and control with coupling synchronization, coupling drive and slit gate mechanics. 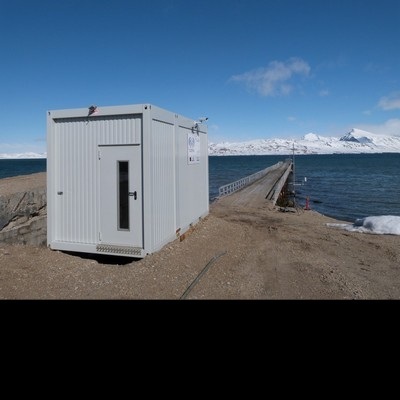 The FerryBox at the northernmost installation is operated at Spitsbergen (AWIPEV station) since 2012 by the AWI Helgoland. This system continuously sends oceanographical data from there to the AWI database in Germany. 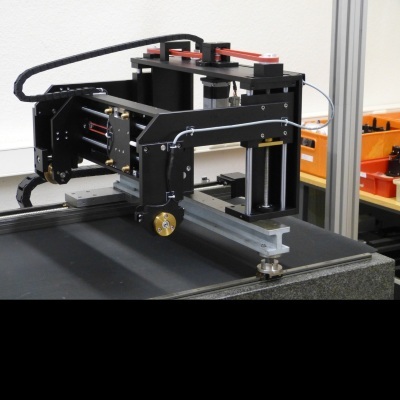 Motorized positioning system for the semi-automatic inspection of large-area flat components, e.g. 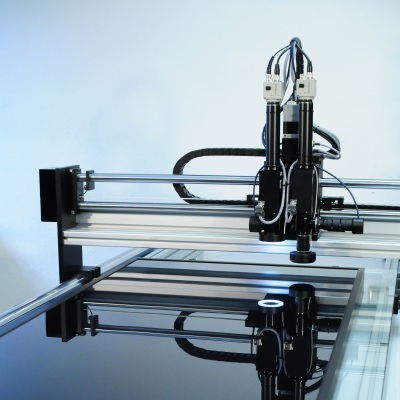 solar panels, LCD & plasma panels, and entire printed circuit boards with customer-specific optics, axis lengths and a customizable user interface. Sensitive measurements are interfered by air bubbles in the measured medium. To remove only these bubbles but not dissolved gases, we designed a debubbler to facilitate undisturbed measurements. 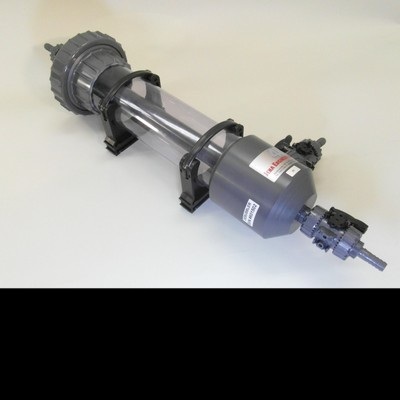 The debubbler is available in different sizes and materials (PVC, stainless steel) corresponding to the field of application. Project surface defect detection with Fraunhofer IOF.<br /> The project supported by the Free State of Thuringia was co-financed by the European Union under the European Regional Development Fund (ERDF). To sample water continuously in terms of dissolved contaminants and/or suspended particulate matter (micro plastics, plankton, etc.) we designed both active and passive samplers. These samplers also can be combined to use contaminant sensitive foils, plankton nets or sieves in one volume controlled sampling system. 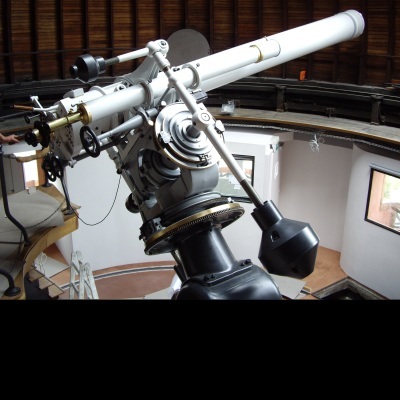 Complete restoration of the 300mm Zeiss refractor</p> <p>The instrument with a focal length of 5m, a magnification of six hundredths and a weight of 20t, is hosted in the observatory which was built in 1907. 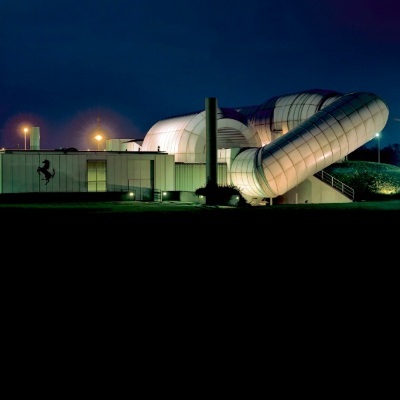 The observatory is located in the dome of the 50m high tower. 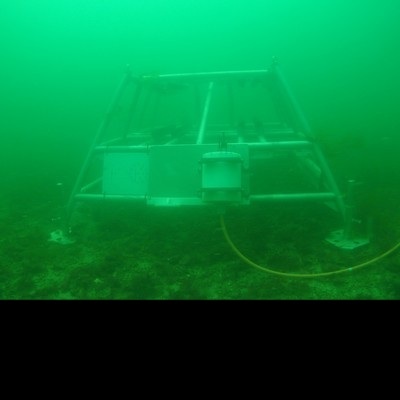 In close vicinity to Helgoland Island a COSYNA underwater node is in operation since 2014. 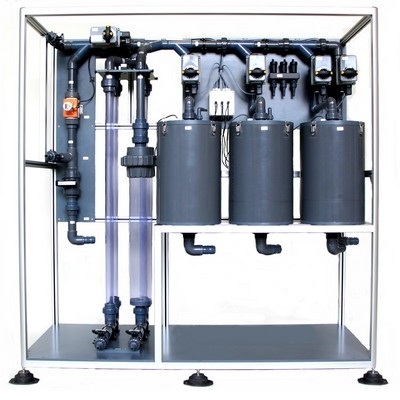 This system provides the opportunity to operate even complex sensors and cameras with real-time data transfer. This is enabled by fibre optic network connection and land based power supply. 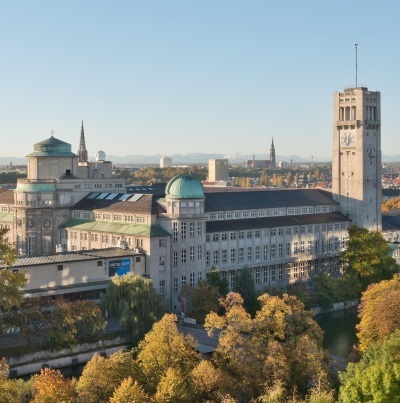 In the spring of 1993, the company profile was extended by this acquisition of the water measuring technology division of Norddeutsche Seekabelwerke AG, Nordenham. Since this time, on the basis of a solid technical basis, we have been working on a continuous development of our product portfolio in addition to the production of our proven probe technology and its accessories. We are dedicated to the development, manufacture and sale of measuring and testing technology in the tradition of fine mechanic-optical instrumentation. Manufacturing quality – secure – document. We offer simple, effective and cost-effective solutions to our commercial and industrial partners. The simplest solution is always the best. In addition, we also offer assembly and services for fine-mechanical optical components. -4H- JENA engineering GmbH is an engineering service provider, but also a service provider for assembly and manufacturing of samples, models and small series of optical and precision mechanical components and products. Our portfolio also includes the professional restoration of technical equipment and systems. We are a cooperation partner and a listed supplier of Carl Zeiss AG Germany.